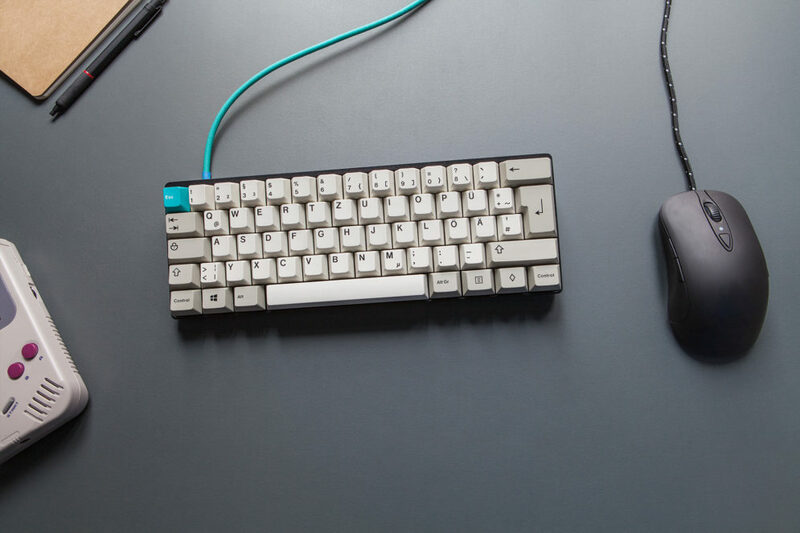 Build your own custom USB cable for your mechanical keyboard. Choose from the simple yet neat STRAIGHT ONE or the bold CURLED ONE. Read more about Clark Kable. Customized by you and handcrafted by Clark Kable. 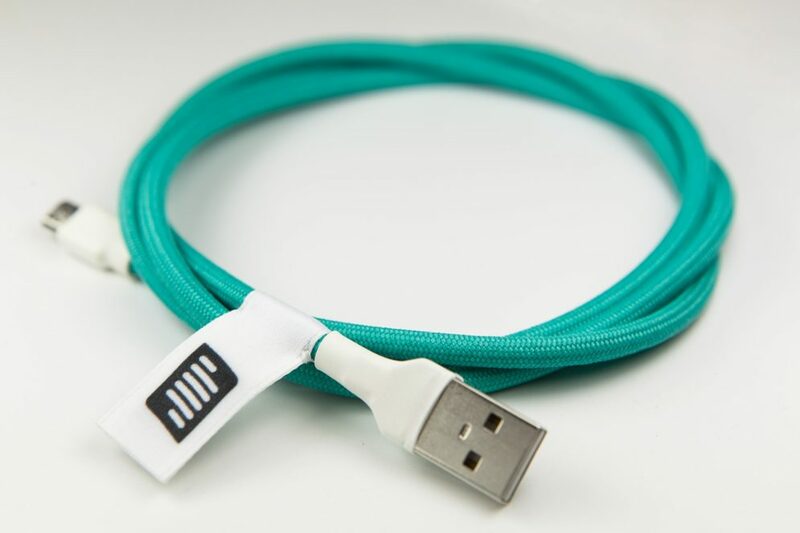 High quality USB cable that will match your mechanical keyboard perfectly. 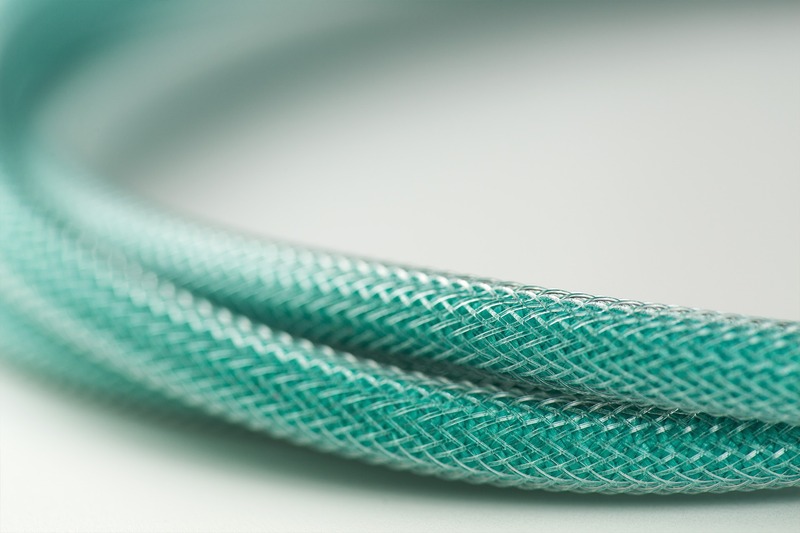 Clark Kable takes only high quality materials and parts to craft these cables by hand. It all begins with the bare cable and is refined by all the different parts you choose. 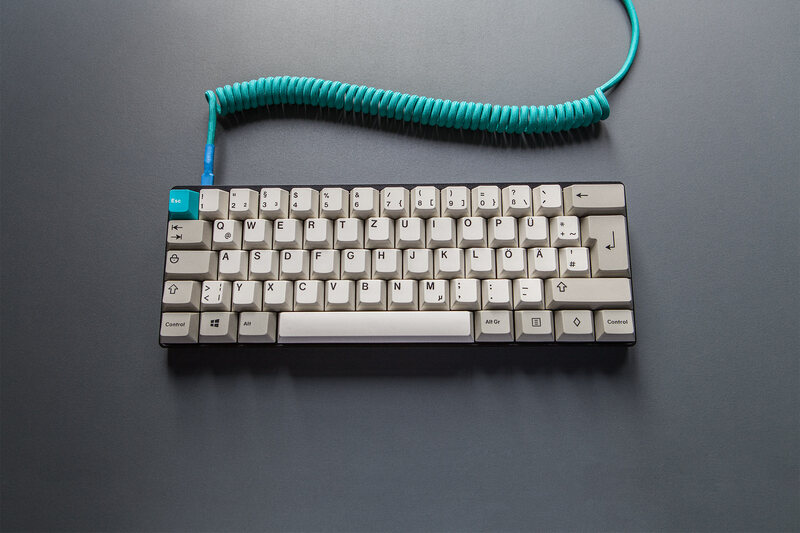 In the end you have a truly unique cable that accompanies your already unique keyboard. Choose how you want to connect your cable to your computer. Choose the connector you need to attach your cable to your keyboard. If you want your Ergodox cable to be shorter than 0.5m, just put the desired length in the order notes on checkout. Techflex or MDPC-X double sleeving is a plastic mesh that comes on top of the paracord sleeving. You can achieve very interesting colour combinations with this. On top of that it adds rigidity to your cable. The shrink tubing protects the intersections of the cable and the connectors. The Curled One is all about even more refined aesthetics. 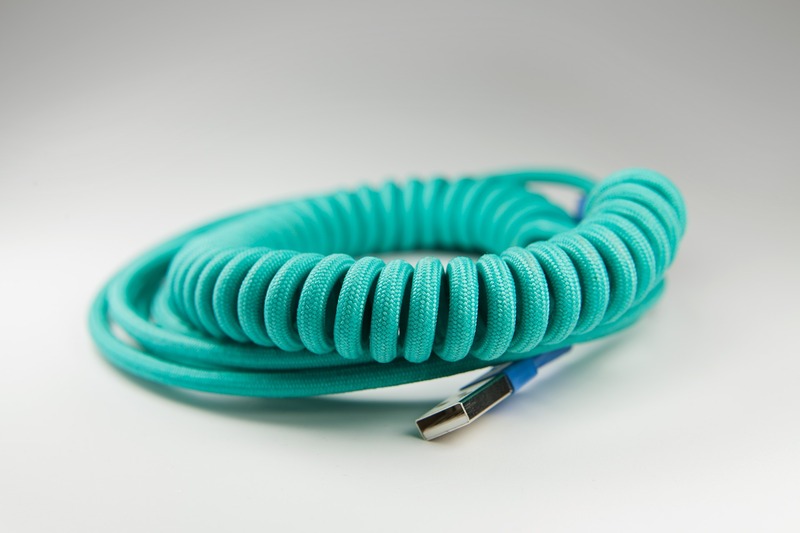 This choice of cable looks great on any desk and will draw the attention of your co-workers. As long as you don’t stretch the coil it will retain its shape without any problems. It may become a bit loose over time depending on how you treat it. Available coil length is based on the total length you choose; no calculations necessary. 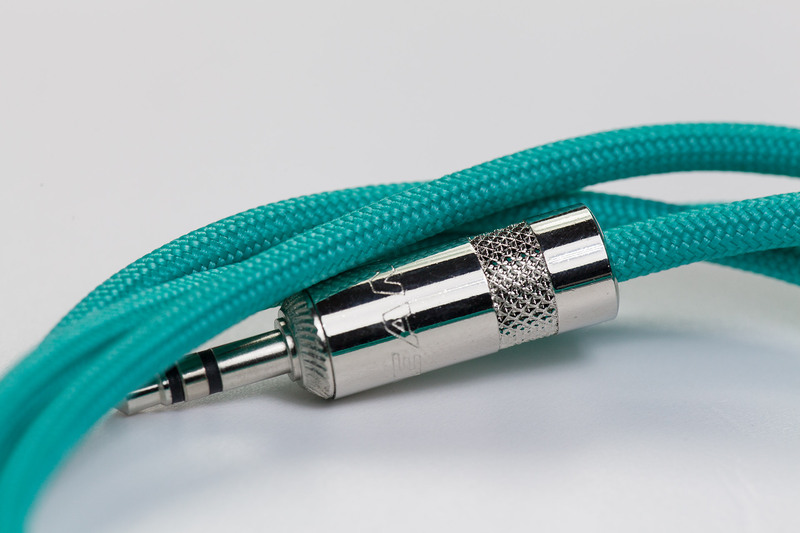 If you want a special coil position on the cable tell us in the notes form on the checkout page. Otherwise we will position the coil 2 to 4 cm after the connector to your keyboard. 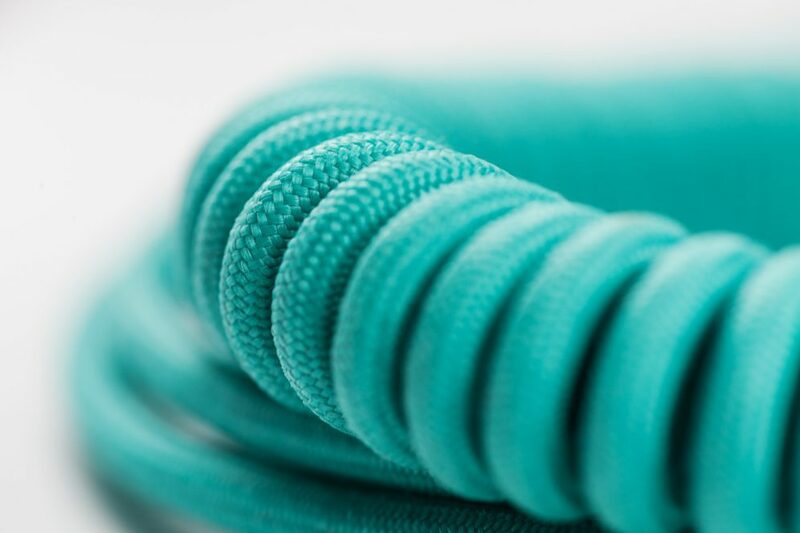 Techflex double sleeving is a plastic mesh that comes on top of the paracord sleeving. You can achieve very interesting colour combinations with this. On top of that it adds rigidity to your cable and gives the coil more durability. 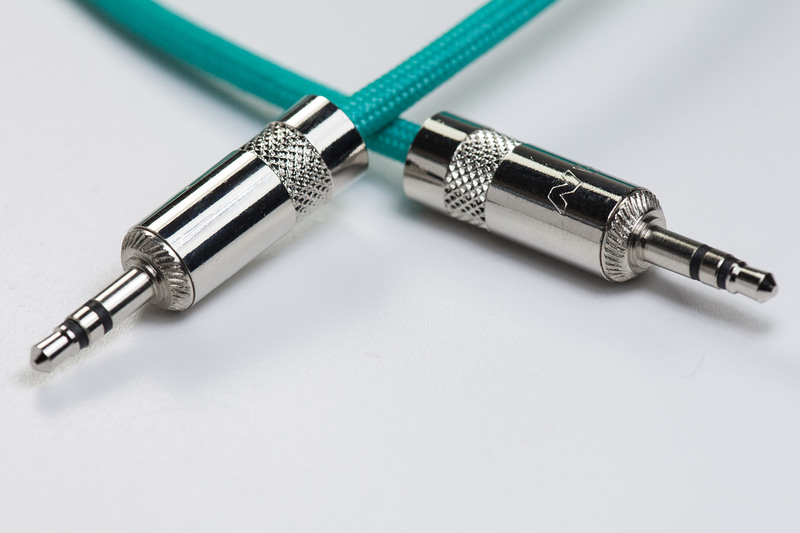 High quality auxiliary cable manufactured to your needs. You can connect your phone to external speakers, your headphones to your digital audio player or any other device. 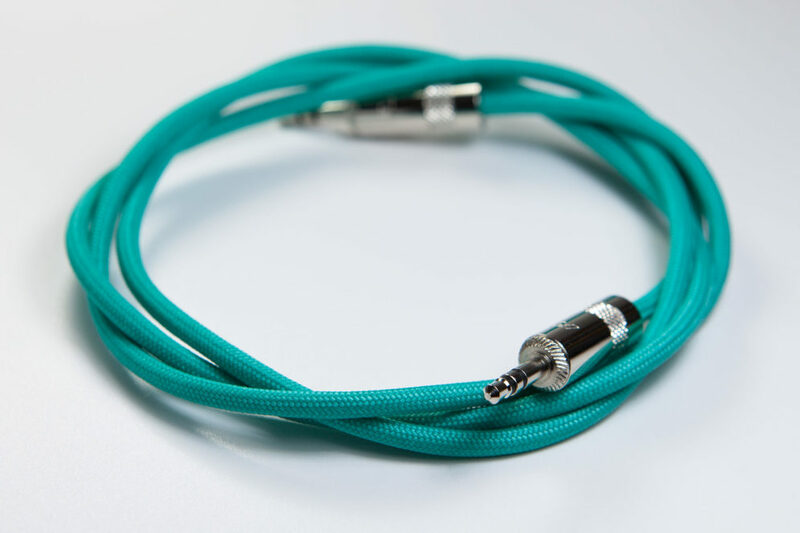 The audio cable combined with the paracord sleeve makes The Sonorous One very comfortable to wear every day.